This Kickoff Meeting Checklist gives you ideas on how to create an agenda for the kickoff meeting and what major activities should be performed during the meeting. The checklist will help you plan meeting tasks and establish effective communication. Send email invitations and announcements to all participants of the upcoming meeting. Prepare a description of your project management concept and present it to stakeholders during the meeting. Prepare an expressive speech to show project importance by describing the value to both the contractor and the customer. Prepare a presentation to show the project management plan, project schedule and project budget to stakeholders. Define and approve the project scope and boundaries. Review and confirm project goals and objectives. Discuss and confirm a list of deliverables including dates and interdependencies. Introduce members of your project team and review their roles and responsibilities. Introduce administrative staff of your project and review managerial roles and responsibilities. Provide information on the customer for the project team. Create copies of the project contract and share them with the project team. Create a schedule for conducting weekly status meetings. Establish time reporting rules, including format of project repots and frequency of report submitting. 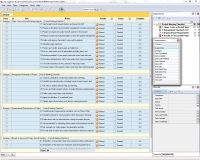 Set rules for project data tracking and trending. Review and define project policies, including Planning, Implementation, Control, and Change Management. Define major project terms and definitions. Agree the definition of "completed" work. Explain approval procedures and decision-making processes. Establish project organizational standards, such as Project Chart, Developmental Goals, Teamwork, and Critical Success Factors. Establish methods for communications within the project, including types of communications (based on your communications management plan). Define basic rules for team behaviors during the project lifecycle. 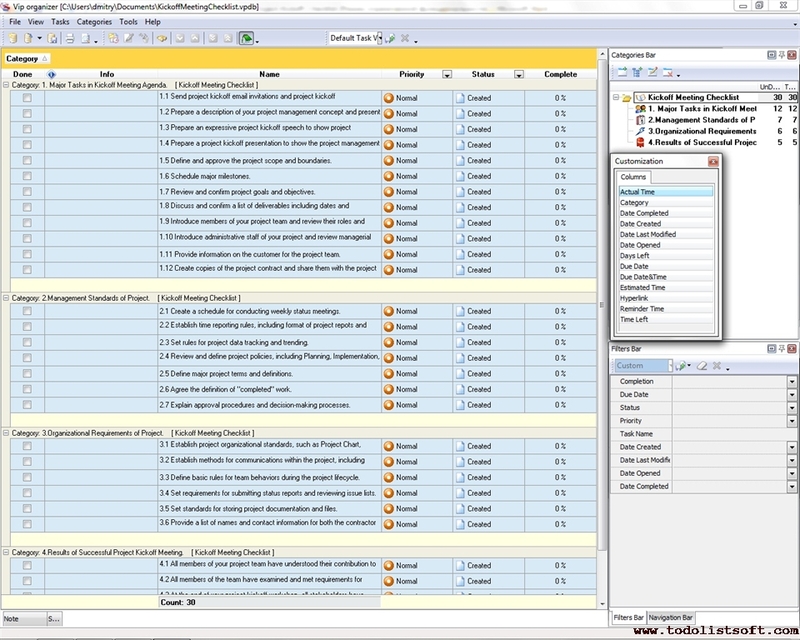 Set requirements for submitting status reports and reviewing issue lists. Set standards for storing project documentation and files. Provide a list of names and contact information for both the contractor and the customer. All members of your project team have understood their contribution to the project. All members of the team have examined and met requirements for experience, knowledge and skills. At the end of your workshop, all stakeholders have understood and accepted the project management concept. The baseline budget and schedule of the project are approved by stakeholders. A report is created and shared with senior management of your project.